Aromatherapy is the ancient art and science of using essential oils for promoting health and well-being. Essential oils are vital life essences extracted from certain aromatic plants and flowers. 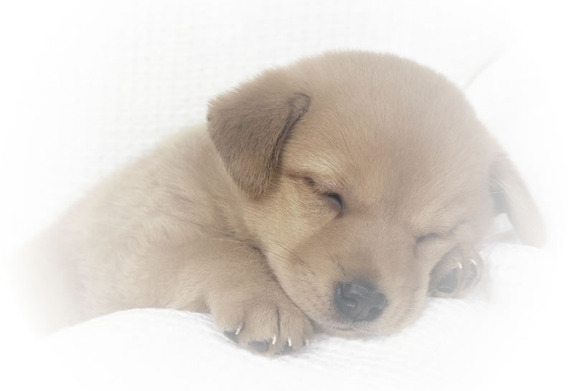 Concentrations of oils are very low due to the acute sense of smell by animals. Long car trips or being alone for long periods of time can make your dog anxious and even nauseous. The calming pure essential oils of lavender and peppermint can help with motion sickness and nervousness. Instructions: Spray lightly on travel toys, blanket or pillow. This is the last hair and lint remover you'll ever need! ​Works on any surface and can be used over and over again! Instructions: Without wetting the sponge, simply hold it in your hand and lightly wipe your pet hair and lint off of any surface with an even sweeping motion. 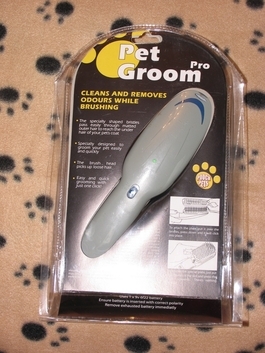 Remove and dispose of accumulated pet hair and the sponge is ready to use again. Note: Always use the sponge dry. When the sponge is soiled, simply wash it with soap and water and let the sponge dry thoroughly before using it again. Store at room temperature and keep away from direct sunlight. 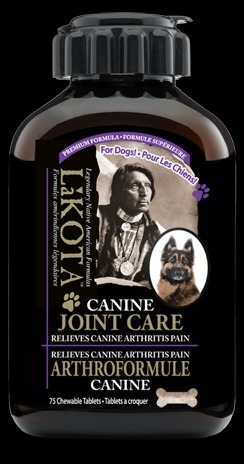 This product is recommended for all dogs suffering from arthritis, it is manufactured by LAKOTA located in Canada and it is an all natural product with a yummy beef flavor for your best friend. 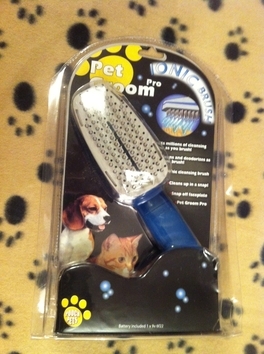 ​​You can purchase this directly from the manufacturer for $24.99 per bottle (plus S/H) by going to their website at: http://www.lakotadirect.com/pet.html?mode=list or if you live locally we offer this at a discounted price of only $20 if you pick it up or $20 plus gas if we deliver it. We also have a limited supply of the 196 page hard cover book LAKOTA GUIDE TO PAIN RELIEF that tells the story of how LAKOTA got its start along with the following chapters: Take charge of your arthritis, protect and heal your back, muscle and body pain, diabetic pain, the link between pain and sleep, recipes for pain relief, and home remedies. All local orders will receive this for free (while supplies last). I have used this all natural product on all of my dogs throughout the years (when they have gotten older and started suffering from arthritis), and I can happily say that I have had a 100% success rate using it - and it worked much better than any product prescribed by my veterinarians! One of my dogs suffered so severely from arthritis that he would start limping after only walking 10 minutes on a flat surface, but after placing him on this product for only 2 months he could once again join us on our walks for hours on end, and he resumed his famous play sessions with the other dogs in our household without any pain! I am not a paid spokesperson for this product nor do I get any money if you purchase it from them or via myself (I sell it at my cost), I'm simply letting you know about this product BECAUSE IT WORKS! Many of my clients have started using this all natural product on their dogs and have had the same success I have, their best friends are pain free and happy once again! ALSO: We've included two product recommendations (see below). The first one is for dogs that suffer with arthritis, and the second one is a 100% all natural mineral supplement recommended for all animals. Kool Tees Dog Bandana- "Rescued And Loving It"
Vet recommended for temporary relief of minor skin irritations and to stop itching. 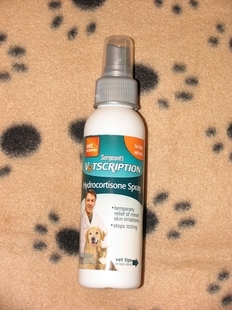 Hydrocortisone Spray can be used on cats and dogs, it will provide quick relief from itching, rashes and other minor skin irritations. It only takes a small amount and it is fast working. Instructions: Apply directly to affected skin areas twice a day to relieve irritation. 6. Do not have to replace consumables such as filters or activated carbon, economic convenience. 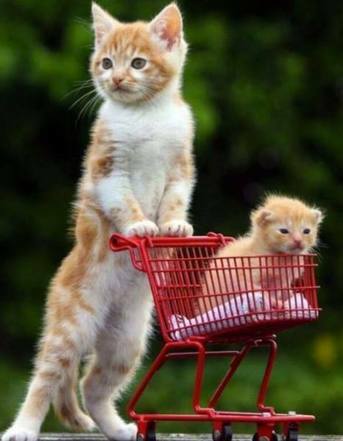 U.S. scientists found that pets with a deadly case of bacterial infections have been increasing, such as ringworms in cats which can be transmitted to humans. Oxygen anion can instantly destroy bacteria, viruses and other microorganisms. 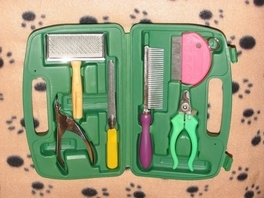 An excellent starter kit, or a spare kit for the cottage or RV; this kit is great for large or small cats and dogs. Proper oral hygiene is essential in maintaining the overall health of your pet. Dental care is one of the most important steps you can take to keep your pet healthy and happy, lack of care can lead to plaque, tartar buildup, gum disease, feeding problems and possible tooth loss. 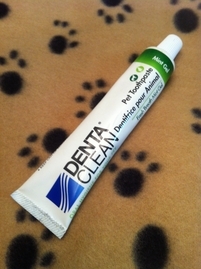 Denta Clean Herbal Pet Toothpaste is specifically formulated for dogs and cats to control tartar and keep teeth and gums clean. This veterinarian approved toothpaste helps clean teeth and control tartar, while leaving your pet's breath smelling minty fresh. It also contains Golden Seal, a natural herb substance, that acts as an antioxidant while giving your pet clean, fresh breath! From the one and only Kool Tees of New York! You can give your pampered pooch a voice with this adorable 100% cotton, machine washable, tumble dry, dog bandana. 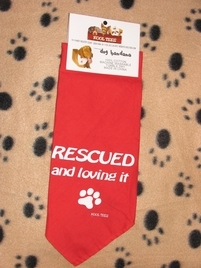 "Rescued And Loving It" and below that it has a paw print. 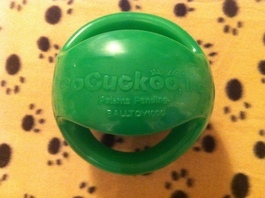 This is the larger size, 6" diameter, durable, heavy duty GoCuckoo Mighty GripZ; made for dogs 25-200 lbs. Manufactured to grab easily, it is eco-friendly, and made of a flexible material that won't harbor bacteria and cleans up easily with water. This ball toy is made to be tugged, rolled, carried and floats with the handle upward for easy retrieval. It also has a very squeaky squeaker built-in! This great looking, highly effective drain stopper can protect your pipes from hair and other clog-causing particles to keep your drain clean and flowing smoothly. Perfect for the bathtub or shower! Designed to fit most shower and bath tub drains! 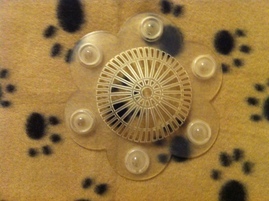 Convenient suction cups hold Stop-A-Clog in place and provide a reliable seal to keep hair out. Made of 100% recyclable Slip-X NEXT - Stronger, longer lasting, and more eco-responsible than vinyl. Plus it's PVC, BPA, and Phthalate FREE! Machine Washable for years of use. of the Cuckoo Ball in use! This product is extremely convenient for those outings or hikes with your pampered pooch, and it can be used by both humans and pets. 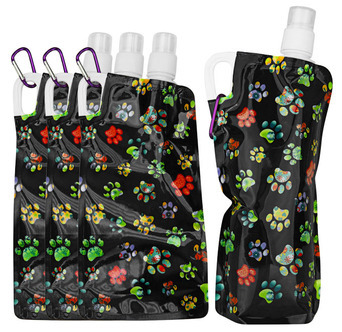 The collapsible water pouch is light weight, has a far-out design, and can be easily attached to everything with the handy carabineer clip which is included. 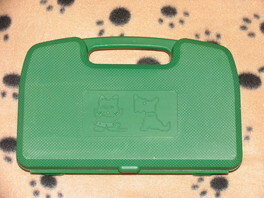 This product is very durable and can be refilled and used time and again. To quench your dogs thirst while on the go, simply pop the lid which will open the bottle at the same time, point it towards your pooch, and gently squeeze to create a waterfall in front of your pets mouth! 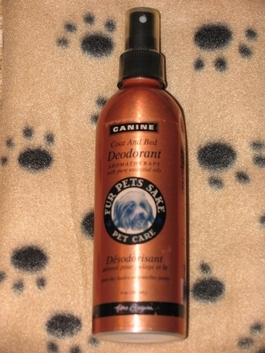 I use this with my own dogs, and while providing professional dog walking services - they are fantastic! 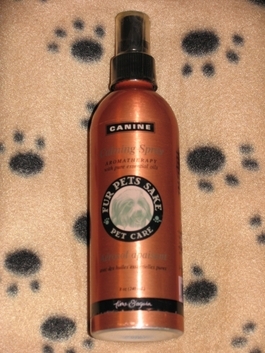 All the dogs I work with love this product and give it two paws up! Now your dog can enjoy the benefits of aromatherapy and smell wonderful at the same time! This natural deodorizer can also dissuade annoying insects with a blend of cedarwood, tea tree and citronella oils. 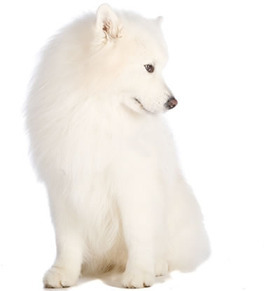 Instructions: Lightly spray on dog, bed, blankets or pillow to help control insects and odors. Drs. Foster and Smith Dental Clens Pads are safe for cats and dogs and have been formulated by veterinarians and help promote healthy teeth and gums through regular use and they also reduce bad breath and plaque build-up. 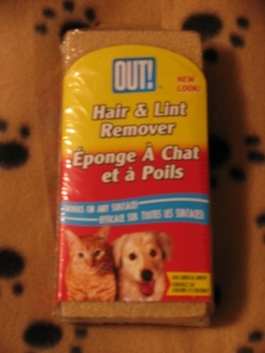 Instructions: For use on dogs and cats. Hold animal's head steady with one hand and gently wipe teeth and gums with pad. Use additional pads as needed until entire mouth has been cleaned. when they are gone, they're gone.